Find your true north at our multi-day Wanderlust Festivals, 108s, and Immersions. New for 2019, get unlimited access to all Wanderlust events with Passport. The original transformational festival, Wanderlust has gathered teachers, experts, musicians and creators in stunning resorts for a decade. New in 2019, we’re bringing Festivals to major cities across the US. The world’s only mindful triathlon, Wanderlust 108 features mindful activities—running, yoga, and meditation—in the world’s most beautiful city parks. Dive deep into your personal practice with our series of expert-led topical workshops. Unplug, connect, and put your learnings to practice—all in one memorable day-long experience. Wellspring is a first-of-its-kind wellness gathering featuring the world’s leading innovators, teachers and socially-conscious companies. For 3 days, get away to Palm Springs and discover what will make you, and the world, well. The Wanderlust yoga experience comes to you: Expert teachers, signature classes, DJ-mixed soundtracks, and inspiring locations. We’re not just a yoga studio. Come on in for inspiring lectures, live concerts, organic eats, film screenings, and other events, or just for a quiet place to read a book or meet a friend. Deepen your practice off the mat. In the Wanderlust Journal we explore what practice means in the physical (Ground), within social contexts (Reach), and its philosophical edges (Stretch). Healthy, delicious, and oh-so beautiful, these smoothie bowl recipes are sure to brighten your day. 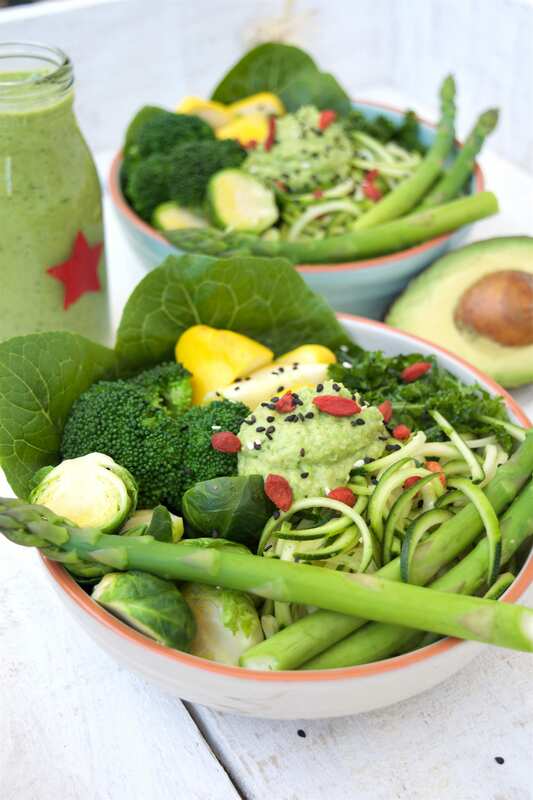 It would be impossible to follow healthy food trends across the various realms of social media and not have been stopped in your scrolling by an image of a beautiful, abundant, colorful bowl often lovingly referred to as a Soul Bowl, Buddha Bowl, Smoothie Bowl, or Nourish Bowl. These vibrant creations have ignited a movement towards bowl-centered meals that combine clean proteins, healthy fats, and abundant antioxidants that offer the body all it needs to thrive and glow from the inside out! Nourish bowls have an infinite number of variations and can be easily adapted to suit seasonal produce and personal taste. They can grace a breakfast, lunch, or dinner table and their colorful nature means they are usually enjoyed by those familiar with healthy cuisine or those new to the world of quinoa, kale or turmeric! They are a wonderful way to introduce people to the concept of eating for both health and pleasure. So give them a try and don’t forget to take a snap to share too—positive change always comes through education and inspiration. Smoothie bowls are such a great way to enjoy everything you love about a smoothie, with a little extra fun and nourishment. If you find your morning smoothie doesn’t sustain you for too long, try topping it with some extra nuts, seeds, dried fruit, fresh fruit, oats or buckinis. You can also try adding a teaspoon of plant-based protein for a little extra substance. A few slices of blood orange for garnish. Creating nourishing colourful bowls of food like this is my favorite way to eat and share food with others. They are incredibly versatile, so feel free to add in any of your favourite vegetables that you may scoop up at the weekly market. This is perfect with the green pea hummus dip or Green Goddess Dressing (recipe below). I love the sesame and goji berries as a contrast in this bowl. Wash the zucchini and chop off the top and bottom. Spiralise the zucchini with a spiraliser (if you don’t have a spiraliser, simply use a regular vegetable peeler and peel into long thin strips, much like you would peel a carrot). Steam the asparagus, Brussels sprouts, and squash until tender. Check after 5 minutes and then watch closely, remove the vegetables from the heat as soon as they reach your desired taste. I like to keep them quite crunchy and vibrant. Remove the stems from the kale and chop the leaves finely. Place the chopped kale in a small bowl and add ½ teaspoon of lemon juice, olive oil, and a dash of salt. With your hand, massage the kale with the lemon, oil, and salt until it begins to soften and wilt. This makes it more digestible as well as tastier. When you’re ready, assemble the vegetables in your bowl—the zucchini noodles, broccoli, sprouts, squash, asparagus, and kale. Spoon on a good tablespoon of pea hummus and a drizzle of Green Goddess Dressing. Sprinkle with sesame seeds and goji berries. Feel free to add a little extra lemon and salt to your liking. Having a good salad dressing on hand makes for easy and delicious lunches and dinners. This dressing is bursting with vibrant ingredients and is the perfect addition to the Green Bowl, or to jazz up any mid-week salad! It will keep 3–4 days in the fridge in an airtight container. Simply place all of the ingredients in your blender and blend until smooth and creamy. Pour into a squeezy bottle for easy use, or a glass jar, and store in the fridge until ready to use. 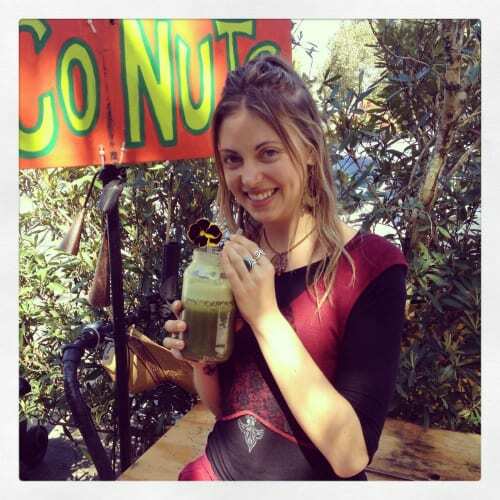 Kelly Fielding is a passionate writer and raw/vegan chef who combines her love of writing with her forays into health and wellness. She is the author of Bella and Bhakti, which offers information about plant-based living and vibrant nourishing recipes, as well as inspiration to encourage others to share their own passions and dreams. You can also contact Kelly for catering and healthy lunch deliveries through her Sunshine Coast-based business Nourish Noosa. Wanderlust 108 is a field day for your mind, body and soul. Featuring a 5k run, yoga, and meditation, our focus is on community, not competition. You can’t beat that. Sign up for a weekly delivery of inspiration, exclusive offers, contests and the inside scoop on events. Wanderlust would like to email you useful information about our events, products, partners and services. Manage your interests, profile and preferences below. Yes, I agree to receive emails about Wanderlust's events, products, partners and services. Thank You! Your profile was successfully updated.